AT&T is rolling out what it calls an internet “super highway” to enable fast and private communication among local, state and federal law enforcement agencies, and raising some concerns about the reliance of law enforcement bodies on new technology as well as the closed-door nature of their private network. Seventeen years after the terrorist attack against the World Trade Center in New York City, concerns about maintaining communication channels during emergencies continue to influence public and private policy — and concerns about giving cops hair-trigger access to personal data while protecting them from scrutiny continue to be voiced by rights groups. In the latest bid to ensure smooth, swift communication for US law enforcement, AT&T is launching an internet "super highway." Think of it like a High-Occupancy Vehicle (HOV) lane, but for cops. The program, called FirstNet (First Responder Network), gives law enforcement "their own separate, nationwide broadband network." Verizon is also constructing its own similar super highway network. The idea of law enforcement agencies using one unified encrypted service is raising some alarms. One fear is that it will discourage law enforcement from using public radio frequencies, which are monitored by journalists, newsrooms, private citizens and activists during protests. FirstNet refused to offer comment to The Intercept as to whether they plan on offering local newsrooms any access to the network. Scott Edson, executive director of the Los Angeles Regional Interoperable Communication System, indicated such access will probably be decided at the level of local government. Every US state has opted into the program, meaning, in other words, they have agreed not to build any competing broadband lanes. So far, more than 1,000 law enforcement agencies across the US have signed up as AT&T continues to hawk the service at more than 5,300 retail stores, even offering it to police and other first responders who don't get wireless plans through their departments — volunteers included. AT&T pitches FirstNet as being able to "connect to critical databases to identify whether detained persons have been previously apprehended for violating immigration law by quickly and efficiently collecting biographic (e.g., name, date of birth, place of birth) and biometric information (e.g., 10-print fingerprints, photo image), which are submitted remotely to said databases," the Intercept notes. It's also being touted for its ability to livestream data and video from surveillance drones and officers' body-worn cameras to police central command centers. Used in conjunction with a program like Amazon's Rekognition, a facial recognition program capable of analyzing up to 100 faces in a single still image of real-time video, one can begin to picture the power such a rate of data-transfer could hold. 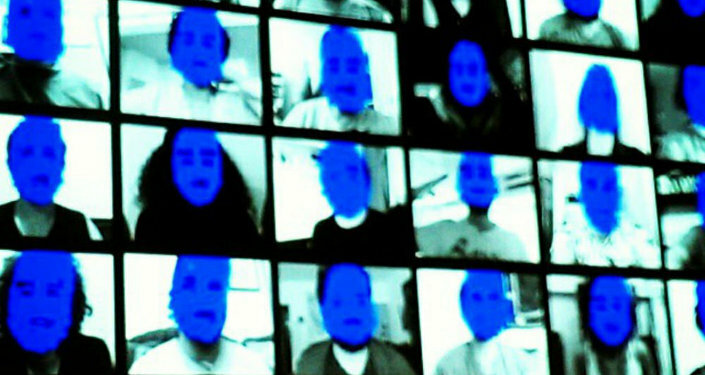 As the ACLU reaffirmed earlier in July, the accuracy of facial recognition technology, such as Rekognition, is often dubious and racially biased. Meanwhile, FirstNet has its own app store, and plans to offer through it applications that utilize facial recognition, real-time video and more. The idea behind FirstNet was concocted after the terrorist attacks on the United States on September 11, 2001. The 9/11 Commission report, published a few years later in July 2004, found that the use of separate radio frequencies by firefighters and police led to loss of life in critical moments when real-time communication is key. Another issue is that during emergencies, broadband networks get cluttered and slow as everyone hunts for information or tries to communicate. Law enforcement personnel on the same networks will face the same speed issues as everyone else, although they've been able to override public networks in the past. That's where FirstNet comes in. It gives law enforcement both "priority" and "preemption" in broadband connectivity. Priority is like the HOV lane — fast access to the services they're after. Preemption would be used in the event network traffic is backed up across the board, as in during emergencies or worldwide events like the World Cup, by shutting down some public lanes and re-allocating them to law enforcement. Since 9/11, the US government has sought to improve public safety communications and national security infrastructure, leading to the creation of the Department of Homeland Security and its network of 79 fusion centers across the US; the spread of Joint Terrorism Task Forces, which create a nexus of local, state and federal "anti-terror" operations; and the Patriot Act, which grants the government unprecedented spying rights. Now, FirstNet risks making way for further incursions against Americans' privacy. The Intecept highlights the case of two Vermont men who are suing the government in a transparency case, arguing that the government is required by the terms of the E-Government Act of 2002 to conduct a Privacy Impact Assessment on FirstNet, as the super highway would ostensibly be used in many situations to transfer personal information about American citizens. But as FirstNet is formed from a public-private partnership, the government argues the rules do not apply because the network is owned by AT&T.